Veterans Day is approaching. Many businesses are offering Veterans Day deals Nov. 9-12, as a way to say thank you. FMCA has gathered a list for you. Veterans Day is recognized on Nov. 11, which coincides with Canada’s Remembrance Day. Because Veterans Day falls on a Sunday this year, the holiday will be observed by the U.S. federally on Monday, Nov. 12. Deals have been compiled from MilitaryBenefits.info. Deals and discounts may vary by location. Call ahead to double check with your local store or restaurant. Customers who come in for a haircut on Nov. 11 at any U.S. Great Clips salon will receive a free haircut card to give to an active, inactive, or retired military member of any branch, including the National Guard. Veterans can also visit any U.S. Great Clips salon on Nov. 11 to get either a free haircut that day or to pick up a free haircut card to use later. Haircuts are redeemable until Dec. 31. A 10% discount is offered to all military veterans on Veterans Day. The chain also extends this deal for veterans on Memorial Day, Fourth of July and Labor Day. Military personnel and dependents get 10% off their entire purchase on Veterans Day. Many Sport Clips locations will offer free haircuts to active-duty U.S. service members and veterans on Nov. 11 with valid proof of service. On Nov. 11, TOPS will honor an 11% discount off your total order for all veterans and active military personnel. Veterans, service members, and dependents with a valid military ID or other proof of service will receive 15% off their entire purchase on Nov. 11. These restaurants are offering specials to veterans on Nov. 11. Proof of service may be required. These restaurants are offering specials to veterans on Nov. 12. Proof of service may be required. Entrance fees are waived at all U.S. National Park Service sites on Nov. 11. Learn more. The National WWI Museum and Memorial will offer free admission for veterans and active-duty military personnel; general admission for the public is half-price. On Sunday, Nov. 11, the Museum and Memorial will host a multi-national Armistice Commemoration Ceremony beginning at 9:30 a.m. in the Museum’s Memorial Courtyard. Free to the public, this special ceremony features moving readings of letters from soldiers, poetry, musical performances and more. FMCA waives the new member fee ($10) for veterans and active military personnel, bringing the cost of a first-year membership from $60 to $50. Click here to get the offer. Please note: This is for new memberships only. 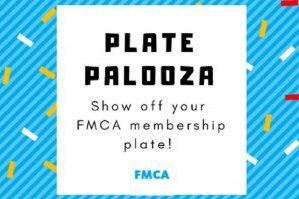 An FMCA membership is $50 upon renewal. 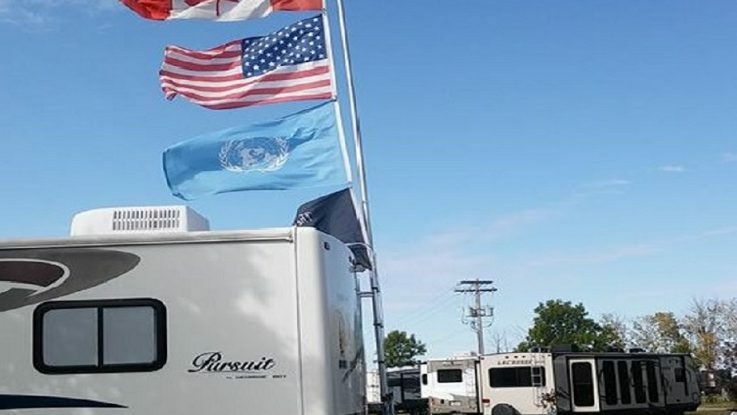 There are more than 250 military campgrounds across the U.S. Read FMCA’s military campground guide to locate these campgrounds. There are a number of theme parks, museums, sporting events, etc. offering special offers to veterans. View the list. We know these are small gestures, especially when one considers everything veterans have done for their country. We can never thank veterans enough. Thank you for serving! Do you know of any other Veterans Day deals? Comment below.